Outwit is a suite of tools based on the Unix tool design principles allowing the processing of Windows application data with sophisticated data manipulation pipelines. The outwit tools offer access to the Windows clipboard, the registry, the event log, relational databases, document properties, and shell links. 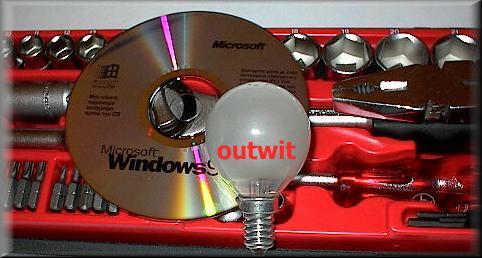 You can find a set of native Win32 ports of GNU utilities that you can use with outwit here. The current version of outwit is 1.25. The following pages do not contain navigation links. Use your browser's back button to return to this page. Diomidis Spinellis. Outwit: Unix tool-based programming meets the Windows world. In USENIX 2000 Technical Conference Proceedings , pages 149-158, San Diego, CA, USA, June 2000. Usenix Association. (C) Copyright 1995-2016 D. Spinellis. May be freely uploaded by WWW viewers and similar programs. All other rights reserved.